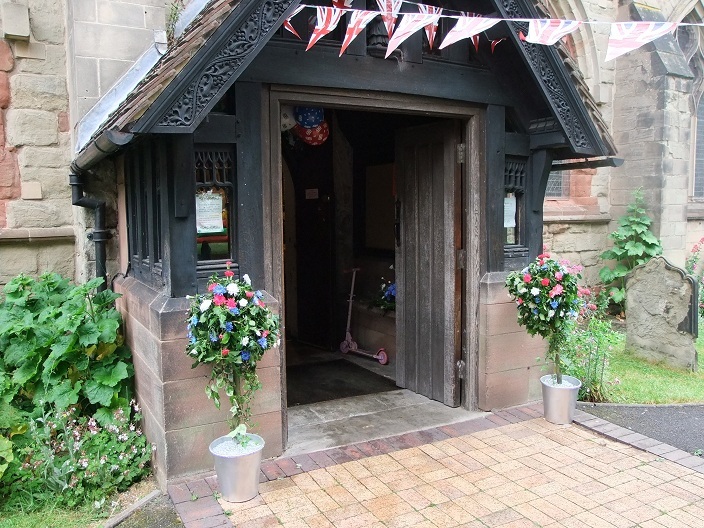 The foundation of the church is said to date to 1100 when Hugh, the Earl of Chester, built a church on the site. Sometime during King Stephen's reign (1135-54) the fourth Earl of Chester, Ranulph, gave all the churches in his possession (among them Stoke) to the Priory of St Mary. The prior then arranged for priests from the priory to come out to Stoke to take services. Nothing of this building remains. The oldest part of the church today is the tower dating to the 14th century. The extent of this church is still evident today with stone in the South West corner and the tower. This church consisted of a short nave and south isle together with a small chancel extending east from the nave. During this period the nave and south aisle will have been put to many uses, a place not only for the worship of God, but also for meetings and parties, buying and selling goods, sorting out disputes and bringing tithes in dues to the church. Major developments occurred in the 19th century. Stoke's population in 1800 was 500; by 1861 it was 1555. More space was needed in church. In 1822 a short north aisle was added – similar in length to the existing south aisle. A gallery at the rear of the nave provided extra space. There was also a vestry linked to the chancel by this time. In 1861 a major building programme was commenced. Both aisles and nave were doubled in length and a new chancel was built. The old roofs were taken down and a higher steeper one was constructed. Two remaining ledges high up in the south aisle indicate the level of the supporting rafters of the old roof. The old, wooden pews were removed and replaced with comfortable, cushioned chairs that can be moved around and set up however we like. 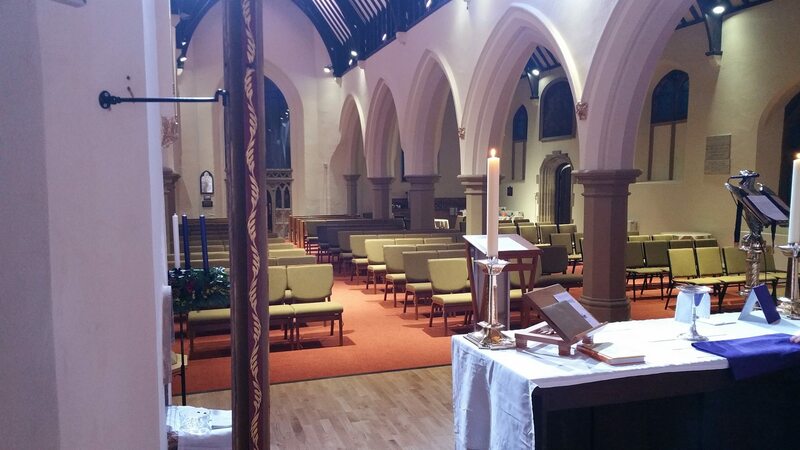 These chairs allow us to maintain a regular layout of the church but have offered us the flexibility to find new and imaginative ways to worship God. 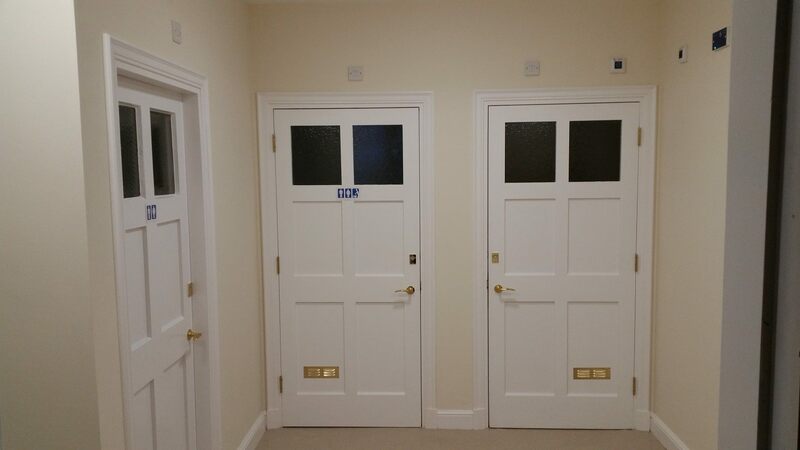 To make the church a more community friendly, inclusive place a new toilet area was added that provides baby changing facilities and disability supports. All of which are accessible from ramps that make access much easier than before when the only access to the single toilet was via some steps. 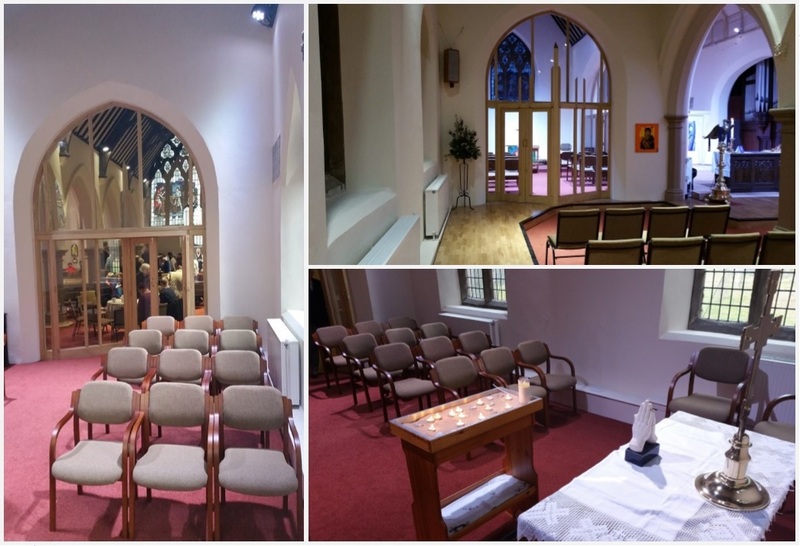 Significant work was carried out on the Lady Chapel with screens erected on the south and west facing arches that have created a calm and space for smaller services, group meetings (such as Cell Groups) and quiet prayer. 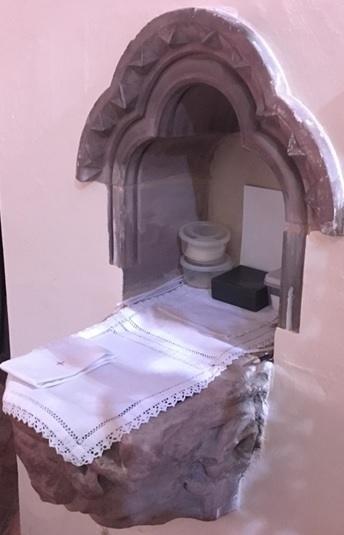 Many people find the new layout for the Lady Chapel is one of their favourite places as it affords people the opportunity for calm and peaceful reflection. 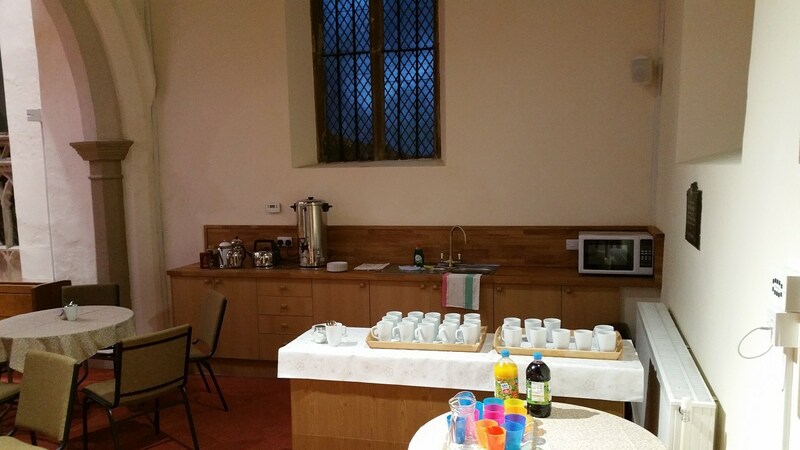 The reordering has enabled flexibility of seating for worship, whilst also being able to use the space for a variety of events which have been warmly received by those that have used it and allowed the church to serve its community in different ways. 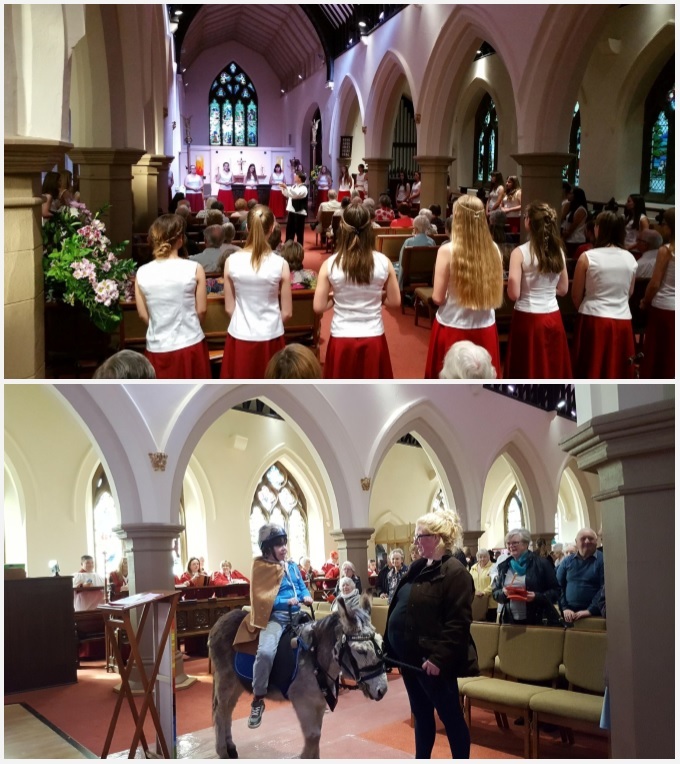 We hope that the work carried out in 2016 will help the church to continue to serve the community of Stoke for the forseeable future but we might not perhaps leave it a couple of hundred years before doing something like this again! 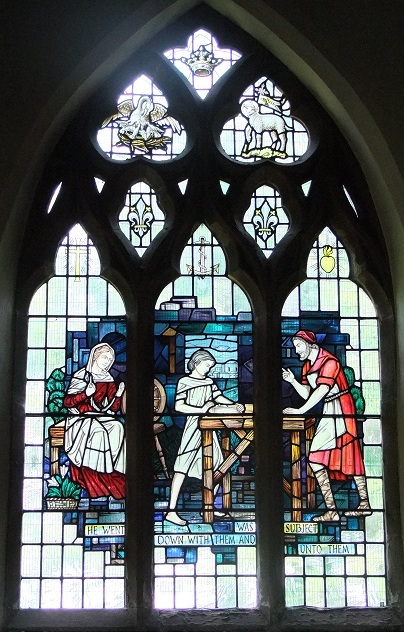 The stained glass (1948) in the window east of the door portrays the Good Shepherd. 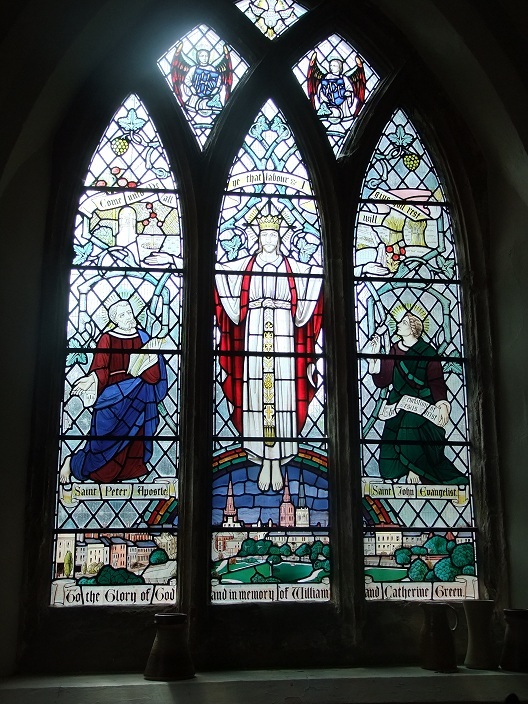 The west window (1955) shows Christ over Coventry - Greyfriars Green and the three spires. At the top of the plain glass window are fragments of medieval glass. - The second shows King Richard II at Gosford Green in 1397 telling the Dukes of Norfolk and Hereford to cease combat. 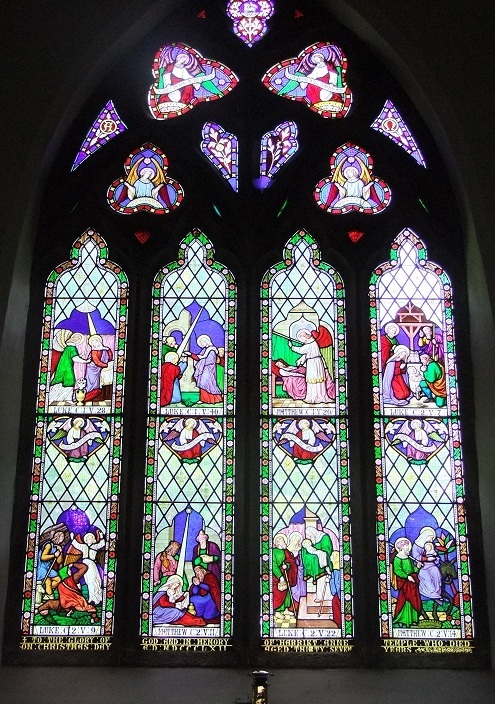 The two windows at the top of the south aisle were put in at the end of the 1st World War. In the left hand one note the detail of implements for crucifixion. The tower contains a peel of 8 bells. Three of the bells are old - No.s 4, 5, and 6 in the present peal of eight. The 5th and 6th have inscribed on them Sit Nomen Domini Benedictum (Blessed be the name of the Lord). The 6th is thought to have been made by Johannes de Colsale c1410. No 4 has a coat of arms, the date 1624, and IHS Nazarenus Rex Judeorum Fili: Dei Miserere Mei (Jesus of Nazareth, king of the Jews, son of God, have mercy on me). In 1902 the old bells were recast, and three new bells added; two more were added in 1905. All the new bells were given by Joshua Perkins. Above the door into the vestries is the Royal Coat of Arms, dated in the corners 1620, GR IV (i.e. King George IV). Blyth's History (1897) says that it was at that time on the west wall of the vestry - i.e. the room at the bottom of the tower - above' the west window. The Coat of Arms 'was' presented by Benjamin Jeffry, a former churchwarden, in lieu of a piece of land enclosed by him from that portion of Common which is known as Stoke Green'. Presumably the Coat of Arms moved out of the tower room to its present position when the new vestries were built in 1930. 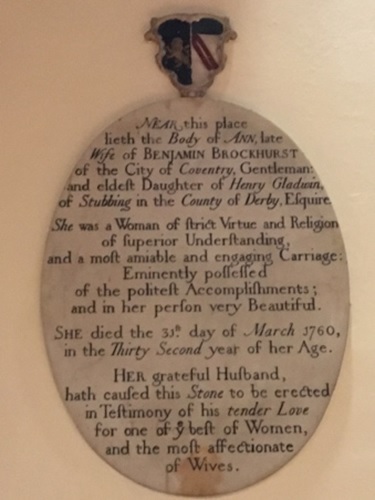 The oval white marble memorial tablet to Ann, wife of Benjamin Brockhurst, is intriguing. Her good qualities are described in delightful terms. 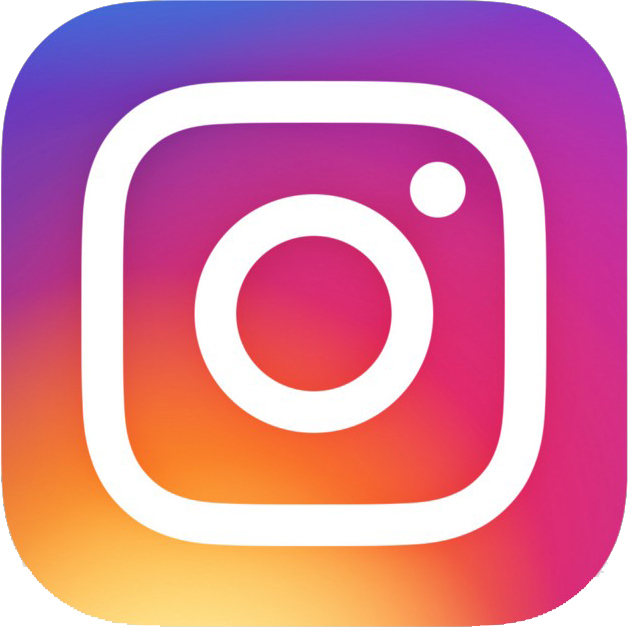 Alteration has been made to the wording at the bottom. Beneath 'for one of ye best of Women' can be seen the original 'for the sweetest of Women'. Tradition asserts, says Blyth, that the alteration happened after Mr Brockhurst's second marriage. 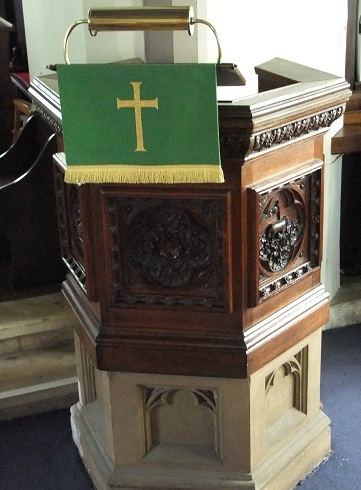 The pulpit, made in the early 20th century, is carved with flowers and animals. It was moved from the north to the south end of the steps at the time of the 1950 extension. Beneath the wooden floor of the north aisle pews - parallel to the partly blocked window - a vault was discovered during the 1992 rebuilding of the floors. It was still sealed, except for two small openings, cut out by curious builders of a previous generation. Torchlight revealed a whitewashed vault - five feet deep, three and a half wide - and a single large lead coffin, not horizontal, but leaning against the wall. No name or inscription could be seen. Speculation has led to the theory that this might be the burial place of Joseph Harwar, whose memorial is now on the Lady Chapel wall. The vault was presumably originally outside the church; so it is pre-1822. Harwar's memorial, Blyth says, was originally on the north wall of the chancel of the old church - which would have been near the position of this vault. Its size suggests a person of importance. 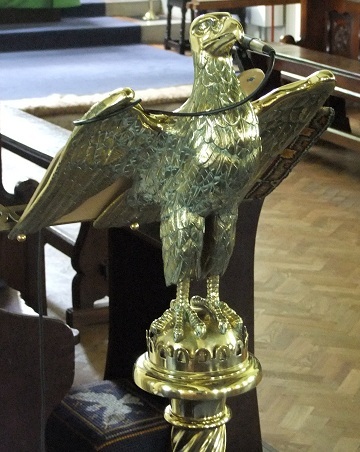 The brass eagle lectern was given in 1895. The present organ was installed at the time of the 1950 extension, and in 1956 a third manual, and the present console, added. The 14th century piscina - at the side of the altar - has moved each time the church has been extended. Its stone and carving suggest that it is of the same date as the font. The Piscina was for the washing of the priest's hands and the rinsing of the communion chalice. The four tall riddel posts are early 20th century but imitate a feature of a medieval sanctuary, from which curtains were hung at the side of the altar. Today curtains are still hung behind; but since the altar has been moved forward, the function of the posts has become mainly decorative.